An interesting advertising item used by the coal industry throughout the United States from the 1920 through the 1950s was the scatter tag. These cheap cardboard or foil covered cardboard tags were quite literally scattered in loads of stoker coal purchased by customers for domestic heating to reinforce company loyalty and reassure that the customers were receiving the brand they had purchased. Most generally they were circular in shape, although some were triangular or square. 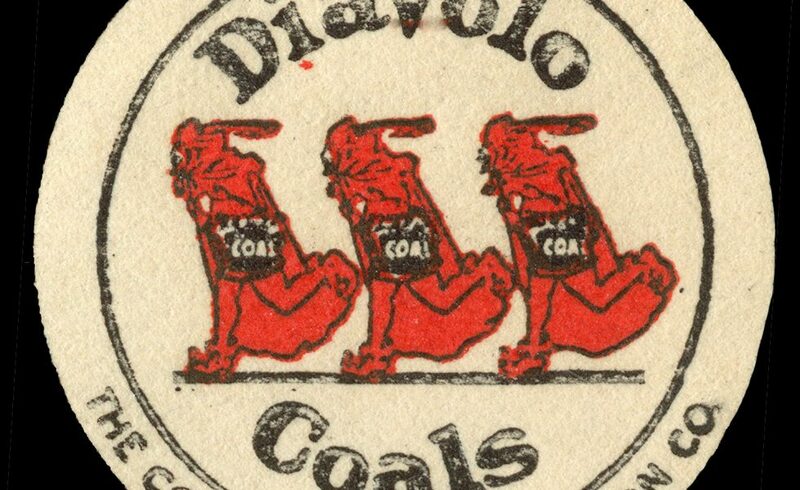 In 1926, CF&I touted that “it takes about 150,000 40-ton railroad cars to transport one year’s production of Diavolo Coals to market.” The signature three devils logo was used in the merchandising and sales departments. As part of the marketing effort, the company, for a time, also used logo to increase visibility of the product on the sides of trucks while in transit. Historian Thomas Andrews writes in in his award winning book, Killing for Coal, that between 1884 and 1912, Colorado miners averaged 6.81 fatalities per thousand workers employed, more than twice the national average. 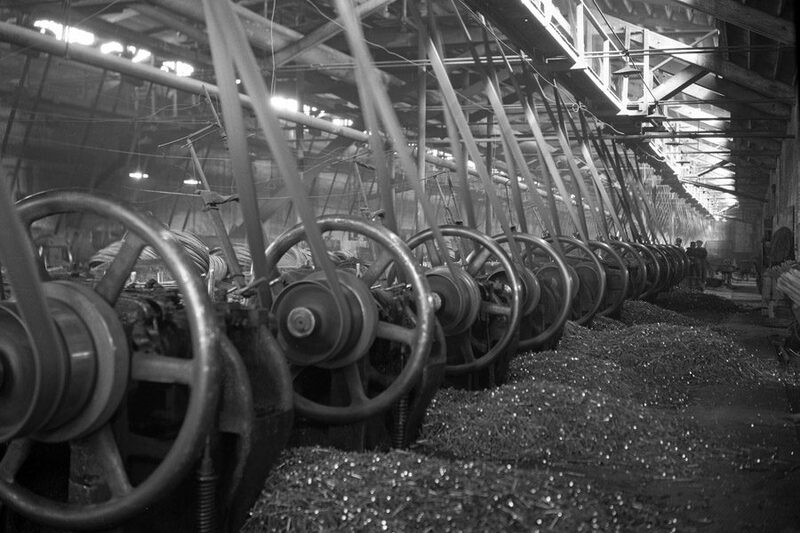 By the mid-1910s, the numbers skyrocketed to more than 10 deaths per thousand workers. As one of the largest mine operators in the Rocky Mountain region, mine safety continued to be a growing concern for CF&I, and produced a slew of advertisements, hands on training sessions and safety campaigns to encourage workers to maintain a safe working environment, not only for the benefit of themselves, but for their coworkers. 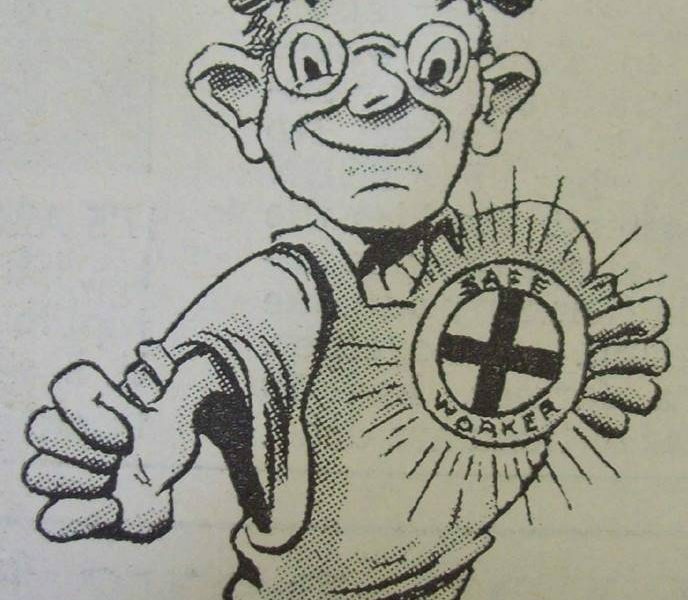 Safety posters and campaigns were printed in company distributed publications to remind workers to be safe while on the jobsite, 1925. Early 20th century mining work could involve a host of dangers from inhaling toxic particulates floating in the air, unstable geology, groundwater that might flood mine workings at any time, and working with unpredictable explosive materials leading to serious injury or even death. Colorado Fuel and Iron purchased the Mine Rescue Car No. 1 in 1923 and equipped it with mine rescue equipment available for quick assistance in the event of a mining emergency. When not in use, this car served as a mobile classroom with a team of instructors who trained miners how to prevent minor accidents, how to respond quickly to major disasters and how to use rescue and first aid equipment. The car was used as a mine rescue training vehicle until 1941 when improved road conditions and faster ambulances were available. The car was then used as the safety and scrap yard office inside the mill yard until the early 1990s. Accident report documenting the accident that Alex Prettol sustained at the Morley Mine, 1940. In the 1940s and 1950s, accident reports and “fatalgrams” were published by the Mining Safety and Health Administration (MSHA), a division of the U.S. Department of Labor, and distributed by CF&I administration to their workers. These one page publications gave a written explanation of an accident that recently occurred, and an illustration showing the crucial moment during which the miner was injured. Sometimes, recommendations for avoiding that type of accident in the future, and annual industry-wide death statistics with underground, surface, and mill distinctions were noted. The dangers associated with mine work did not stop underground. Above ground at the coal washeries, tipples, and coke ovens, common accidents included explosions due to mishandling or incorrect storage, burns, falls from the tipple, and electric shock. Many men also lost their lives after being run over by locomotives and mine cars. In collaboration with the Bureau of Mines, CF&I provided regular safety training, investigated mine practices and accidents, and made recommendations to the bureau that could be made into laws. With the passage of the 1969 Federal Coal Mine Safety Act, laws requiring frequent inspections of both surface and underground mines paved the way for modern legislation and safety regulations. 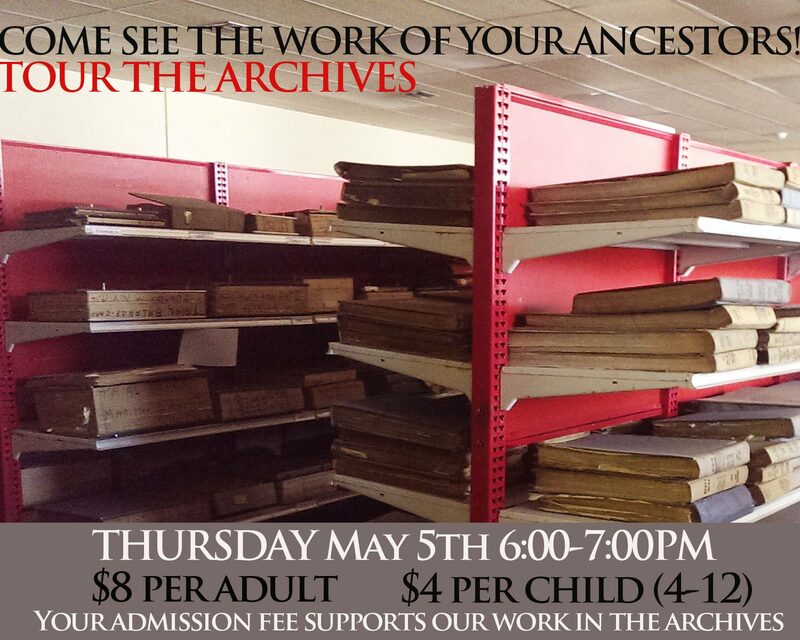 Our Latest Virtual Exhibit is Now Online! Our most recent virtual exhibit, Primero: Colorado Fuel and Iron’s Model Town, is now online. It focuses on the mining town of Primero, a small company-owned mining community near the Purgatoire River in Las Animas County. 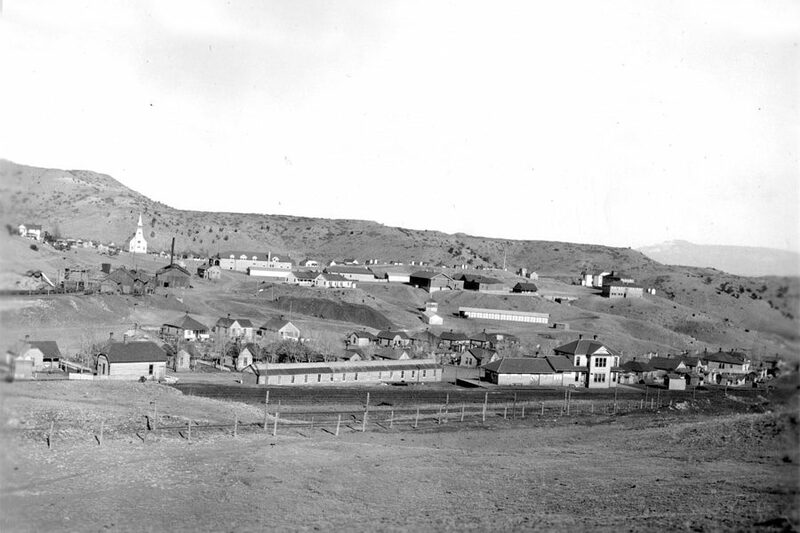 Primero had a state accredited grade school and high school, a Y.M.C.A., Protestant and Catholic churches, and more than 175 homes in which thousands of Colorado coal miners and their families lived, learned, and worshiped at the turn of the twentieth century. This exhibit, developed by history students from Colorado State University-Pueblo with the help of Steelworks Center staff, provides fascinating details about CF&I’s model coal town. It includes photographs, newspaper articles, a detailed historical narrative, and an interactive map of the town from the 1920s. 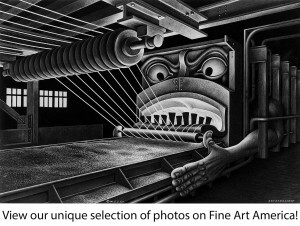 You can view this and other virtual exhibits on our Online Exhibits page. If you have any questions or comments about this project or the town of Primero, or if you would like to suggest ideas for a future Online Exhibit, please let us know. Before the development of digital calculators, multiplication, division and other complicated mathematical operations were commonly accomplished with slide rules such as this Thacher’s Calculating Instrument. In 1881, “computing engineer” Edwin Thacher of Pittsburg, Pennsylvania, received a patent for an improvement in slide rules. Working with London design firm W.F. 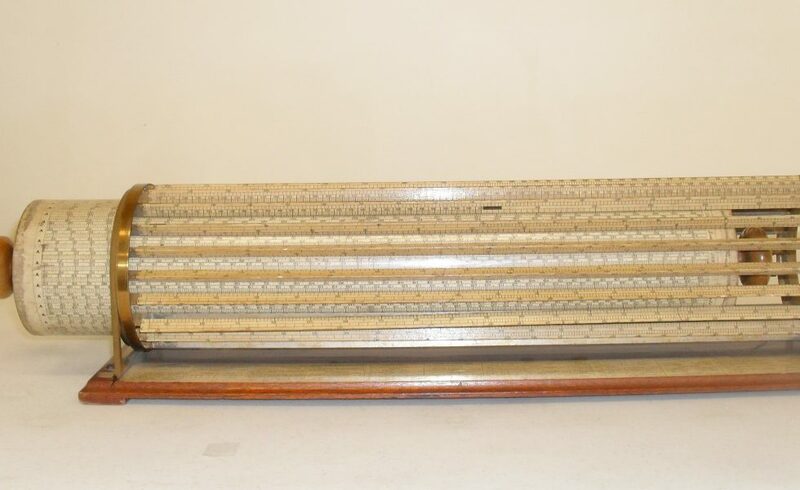 Stanly & Co., Thacher developed a slide rule with scales equivalent to 57-66 feet in length instead of the 10 inch length of common slide rules. In addition, Thacher’s Calculator enabled calculations to four or five decimal places, making it a valuable tool in the disciplines of science, engineering, business and commerce. CF&I’s engineers used this slide rule in the early 1900s to calculate the volume of gas produced in the Blast Furnaces. This slide rule includes scales for multiplication, division and is able to calculate squares and square roots. In addition, the instructions printed on the base of the item ensured accuracy to ±0.0001. There were no trigonometric scales on this rule. The scales are printed on paper sheets which are pasted to a drum. The drum is held in place with a brass frame, which is affixed to a wooden base. The user is able to roll the wooden handles at each end, which in turn, roll the drum to line up the scales to make the calculations. The slats that encompass the drum are also able to rotate for various calculations. Because of the tiny printing on the drum and slats, the original design of this rule also had a metal extension affixed to the base, to which a thumbscrew and magnifying glass were once attached. It was donated to the Steelworks Center in 2003. Organized in 1899, the Colorado & Wyoming Railway Company served as a subsidiary company of the Colorado Fuel and Iron Company. Its main function was to haul heavy loads of mineral wealth (and for a short time as a passenger line) from the mining districts to the Pueblo steelworks. It also serviced the mill yard by moving heavy loads of steel products from one area to another. The C&W continues to service the mill today, running throughout the mill property hauling and delivering heavy loads. Under CF&I leadership, the C&W served three divisions: the northern Division near Sunrise, Wyoming (where the company operated its large iron ore mine), the middle division at the Pueblo steel mill site, and the southern division, mainly servicing Las Animas and Huerfano Counties. The three divisions totaled 116 miles of track. 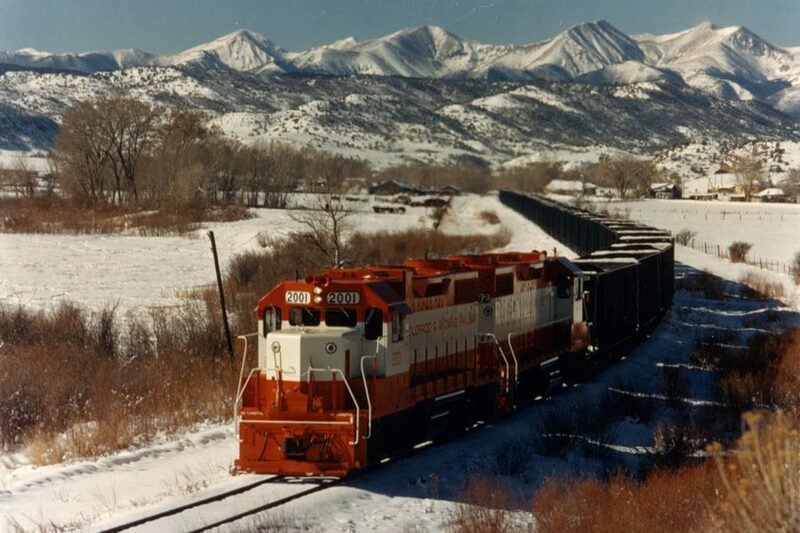 At Sunrise, the iron ore was hauled from the mine five miles away to Hartville, Wyoming, and later to Guernsey, Wyoming, where the rail line connected with other railroads, mainly the Colorado & Southern and Burlington Northern. Iron was then brought to the steelworks at Pueblo on these lines. The middle division, which was by far the largest, operated within CF&I’s Pueblo plant. This division handled raw materials, scrap, and other shipments coming into the plant and hauled finished products to the connecting railroads for shipment to customers. The southern division, built from 1900-1908 delivered mainly coal and coke to the steelworks. 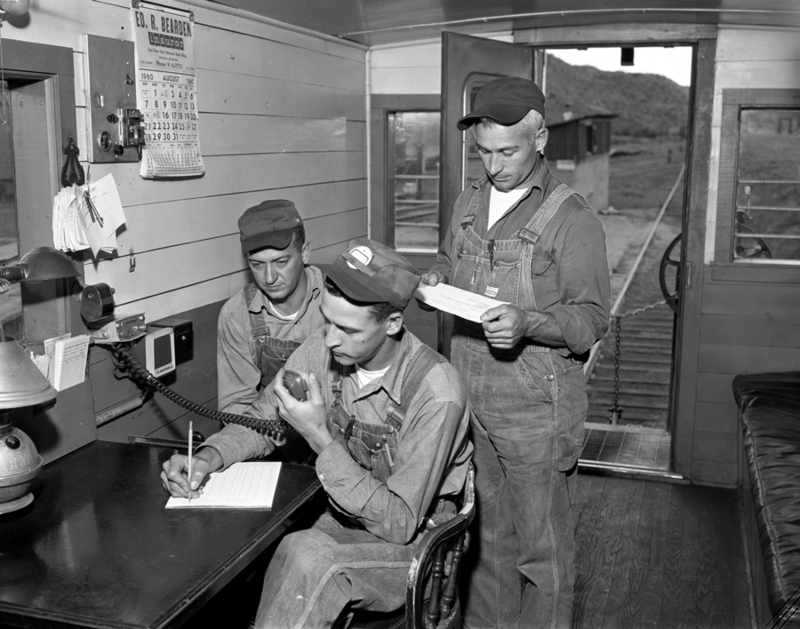 On all divisions, continuous radio communication was maintained with the crews. In addition to facilitating and expediting the handling of cars, this communication system would bring immediate action and/or assistance should an emergency arise. During normal operations, the C&W crews handled approximately 4,800 inbound cars per month and a corresponding number of outbound cars. These cars, together with the 649 cars owned by the C&W, were switched to the various loading and unloading points within the plant area. A check of waybills revealed that more than 100 different items were handled at one time or another to some 170 different possible points of loading or unloading. 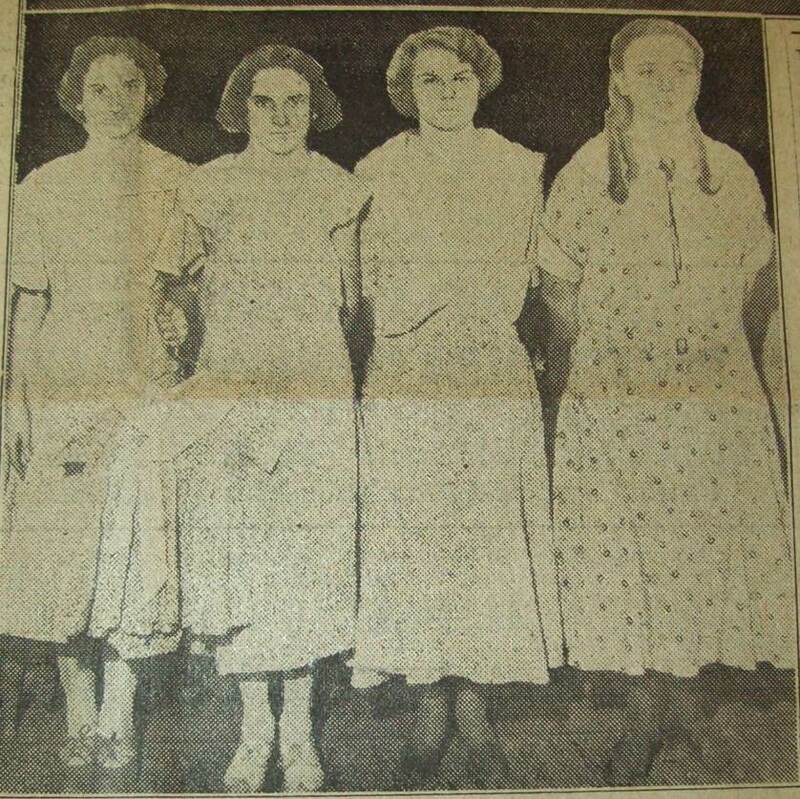 In the late 1950s, the C&W normally employed 450 people, most of who worked on the middle division at Pueblo. 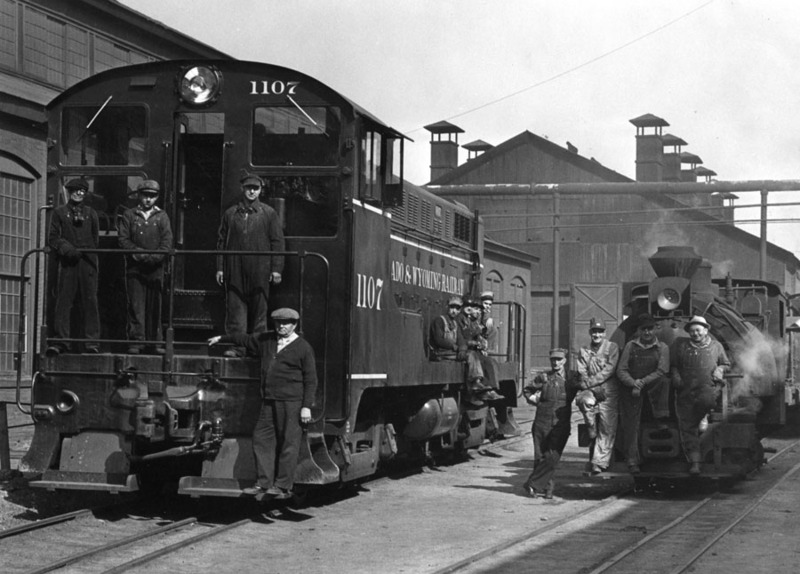 Locomotives, cars, buildings, and tracks were kept in top condition by maintenance of equipment and maintenance of way crews on each division. During the record month of June 1959, approximately 83,000 cars, both loaded and empty, were handled by busy crews working on the middle division. With the advent of diesel power, the C&W, like many other carriers, converted from steam to diesel locomotives, completing the transition in April 1952. 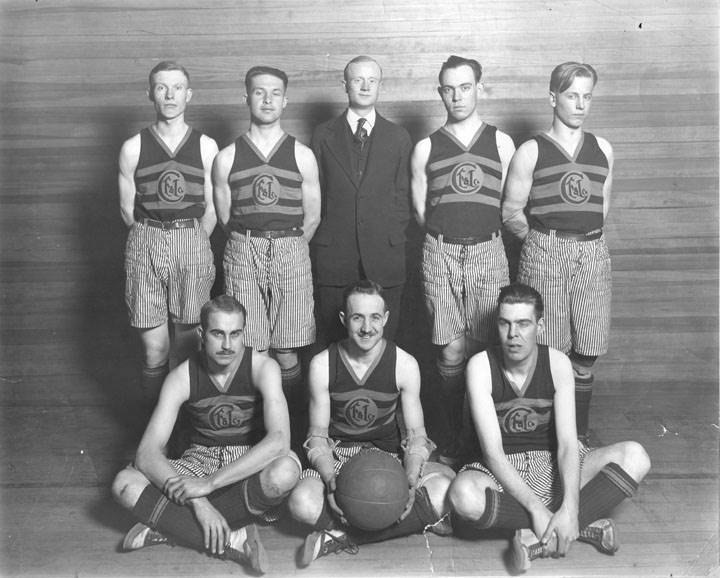 After the company implemented the Employee Representation Plan in 1915, CF&I formed a partnership with the Y.M.C.A. and offered a variety of recreational activities to employees and their families. The new Steel Works Clubhouse, the Minnequa branch of the Y.M.C.A., opened on March 1, 1920 with a modern cafeteria, library, eight-lane bowling alley, barber shop, movie-theater, women’s department, reading room, and auditorium for lectures and theatrical performances. Social dances were also offered on a regular basis. Physical activities included groups playing basketball, billiards, boxing, wrestling, gymnastics, tennis and volleyball. Classroom space was also available to those employees and their families wishing to learn a new trade or take up a hobby. Lessons for children included tap dancing, ping pong, and lessons in how to play the harmonica. Smaller YMCA buildings were also constructed and operated in CF&I’s mining communities. Perhaps one of the highlights of the Minnequa facility was the 60,000 gallon, 21’ x 60’ swimming pool. Tile lined, the pool used refiltered water and boasted some of the most sanitary conditions for the time. The pool was open from 9:00 am to 10:00 pm daily and 1:00 to 4:00 on Sundays. Beginning swimming lessons as well as intermediate and advanced swim classes were offered. 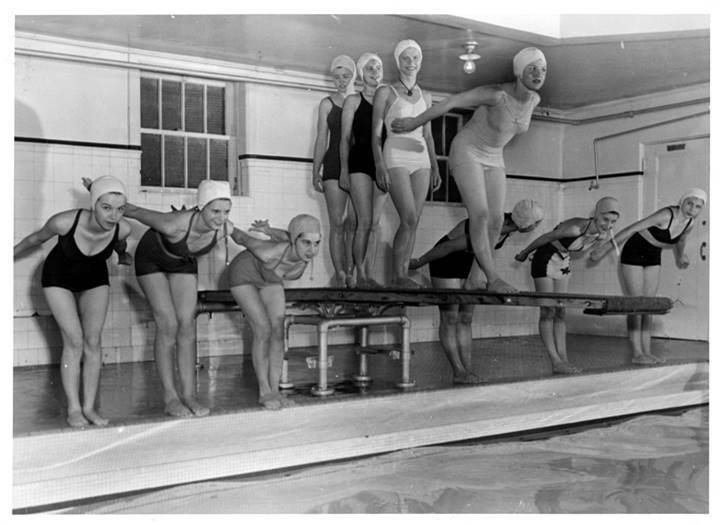 In the 1930s, a diving platform was installed and competitive swimming and diving clubs began. Synchronized swimming classes were also available. In an area adjacent to the pool, 1,500 lockers were made available to both men and women in separate locker rooms. Users were charged monthly fees of $1.50 for a locker and $0.05 for soap and towel. Two batteries of 25 tile and marble lined showers were also available for men and women to wash off prior to and following a dip in the pool. 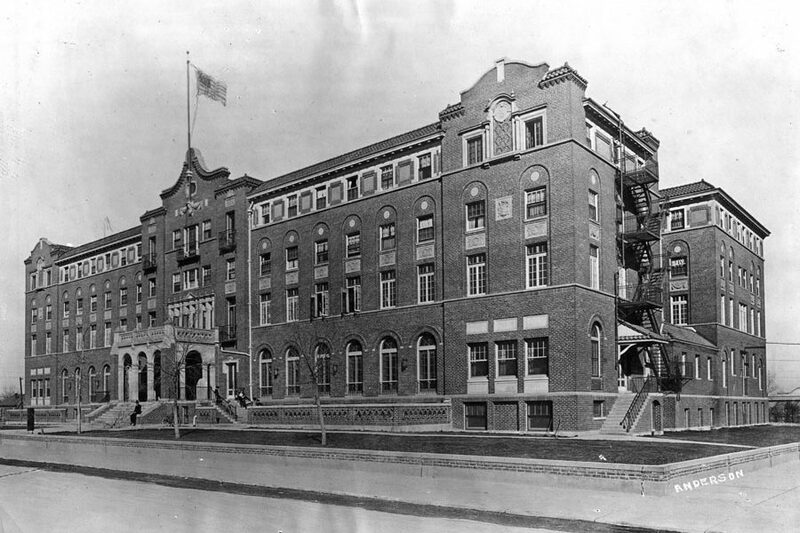 Forced into receivership along with other CF&I operations in 1933, the YMCA closed its doors to all programs including its swimming pool and a “pay when you work” membership drive began in an attempt for the facility to be self-supporting. The membership program was not a financial success, despite having 28 -33% of the payroll as members. In 1950, CF&I closed the Steelworks YMCA due to the lack of funds to maintain the facility. In 1955, a local resident purchased the building and renamed it the Pueblo Athletic Club where he proposed flying lessons, hunting and fishing trips and boxing matches. Plans to use the building fell through and the building was seized for back taxes. In 1963, the building’s ownership reverted back to CF&I, and the building was razed that December. The Colorado Fuel & Iron Company Wire Mill created dozens of wire products dating from the time the mill opened in 1903 until the turn of the 21st century. 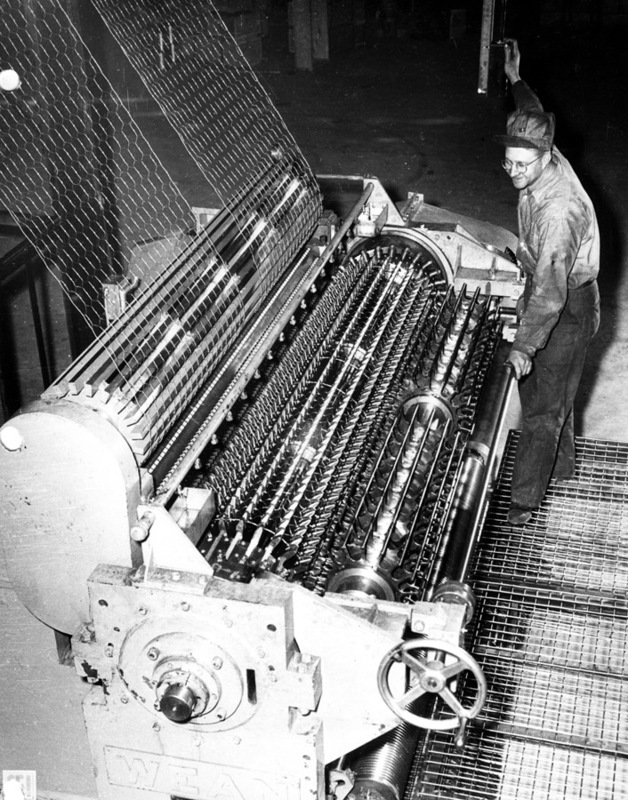 Shortly after opening, the nail department, a specialty sub division within the wire mill, was equipped with 280 nail making machines, which had the capacity to produce 7,000 tons of nails in just 24 hours. A half century later, the wire mill expanded and company publications boasted that its wire specialty products could supply 15 different industries. 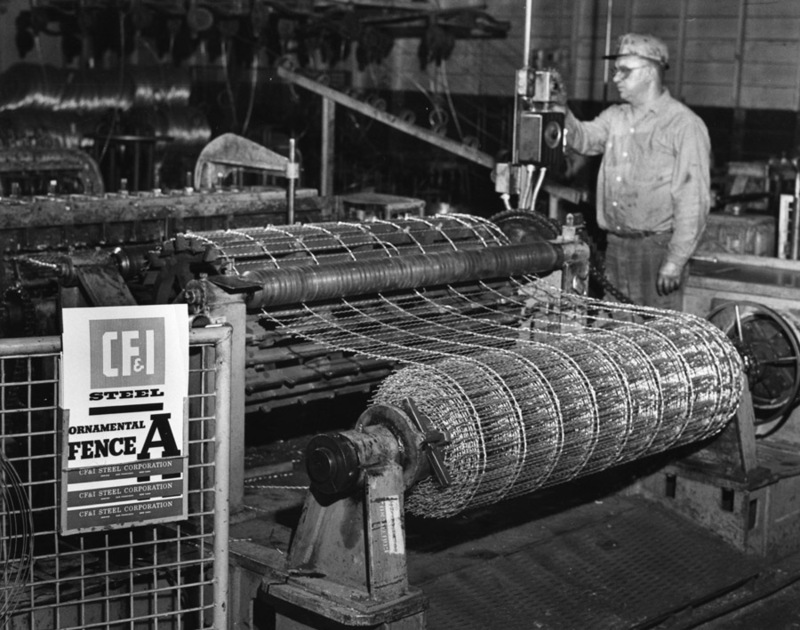 In addition to nails, staples, tacks and brads, the specialty wire products created in the mill included: flowerbed border, wire mesh for screen doors, wires for traffic light controls, clothesline, springs for mattresses, sofa cushions and car seats, television antennae guy wires, and stucco netting. 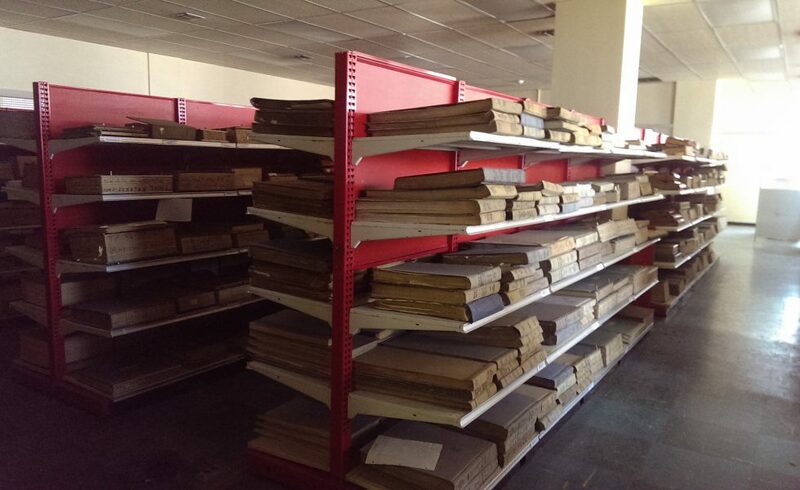 Throughout the company’s history, nails were available in a variety of sizes from the smallest 3 finish, 4 finish and smooth box nails to larger roofing nails. The first step in the nail making process was to straighten wire wound on a nearby coil by running it through a set of rollers. Next, the wire was fed into a heading device of the nail making machine, which tightly gripped the wire, striking the end with a hammer. The end result was a perpendicular, flattened head. The point of the nail was formed by passing it through a pair of pointing dies which snipped off the wire opposite the head to the appropriate length. Completed nails were then taken to the rumbler room where they were placed in octagon-shaped metal drums. Sawdust was dumped into the rumbler to absorb any oil from production and to polish the finished nail. After spinning and turning, the finished nails were packed into barrels (also known as kegs) or boxes to be shipped to customers. Powered by belts running off a central drive shaft and by the 1940s, powered by electric motors, the nail making machines were very rapid and precise in their movements, and could create between 150 to 600 nails per minute, according to the size of the wire. One of the other high demand specialty products created in the Wire Mill was hexagon mesh poultry netting, commonly referred to as chicken wire or poultry netting. Spot welds were the most common form of adhering one strand to another with a large machine resembling a foot of a sewing machine. Extreme heat and pressure held one strand to another. Customer specifications demanded for 1 inch, 1 ½ inch and 2 inch meshes in various gauges of wire. Customers used the material for protecting flocks from rodents and small animals that prey on chickens and other fowl, and as the base of stucco and other construction projects. The Wire Mill continued to service customers until 1997 when it was purchased by Davis Wire Company of Irvine, California. It remained in operation until 2013. The prosperity of the 1920s ended with an economic catastrophe of unparalleled length and severity: the Great Depression. By 1933, industrial production had fallen to one-third its pre-Depression levels. Thousands of banks closed, and almost 13 million Americans found themselves jobless. Not immune from the financial strain, the Colorado Fuel and Iron Company experienced a severe reduction in customer orders, producing 600,000 tons of steel in 1930 but only 191,147 tons in 1932. Because of the lack of demands for steel products, primarily rail, a severe reduction in workforce was necessary, dropping its payroll to 7,773 employees in 1937. With thousands of people dependent on the company as an income source, the company assisted those living in its mining communities as well as its Pueblo workforce by distributing food and clothing to the needy. 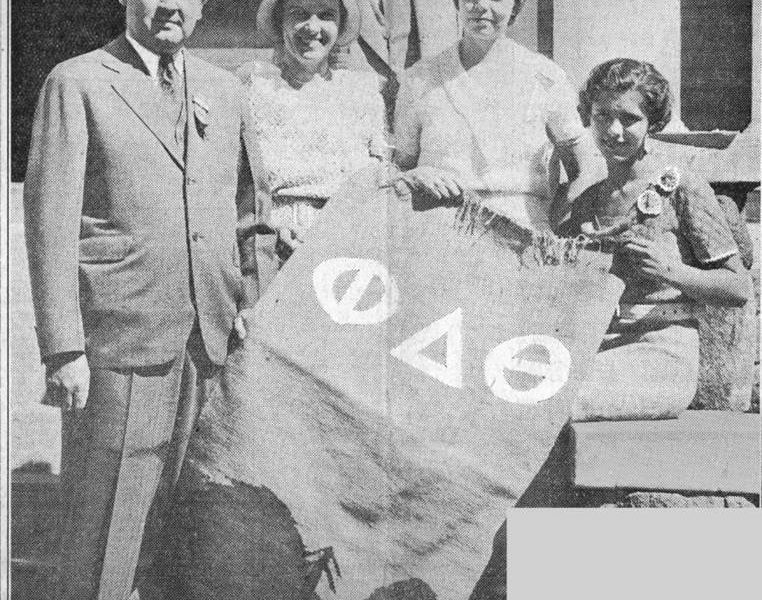 The company also sponsored home economics classes to teach women, the primary food preparers of the era, the art of canning and preservation of food. It encouraged families to grow gardens for self-sustainability and printed tips and advice for healthy and bountiful gardens in company publications. 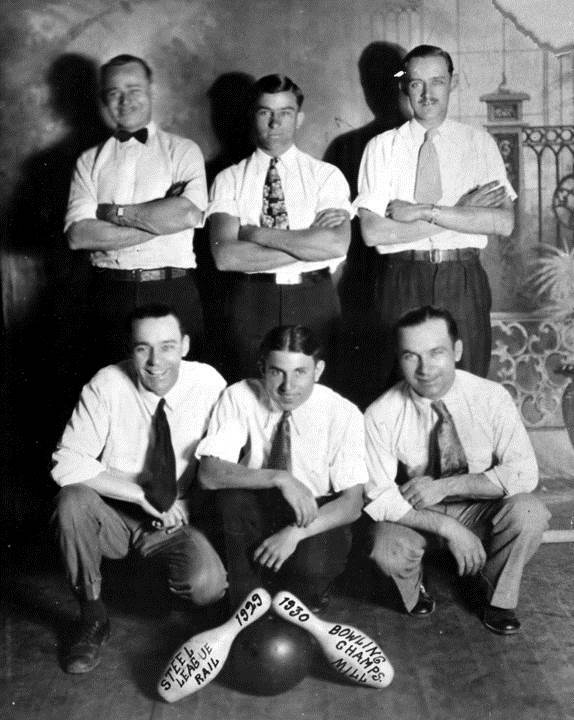 The Pueblo branch of the Steelworks YMCA and the smaller YMCA’s in the mining communities experienced a growth of activity in sports competitions to keep those out of work full of life and vitality. Other projects sponsored by the company included the Valdez-Rug Project designed to train unemployed miners to weave from Jose Ramon Ortega, a well-known master weaver, in the tradition of the Chimayo, New Mexico weavers. For two years, blankets, car seat covers, and 200-300 rugs were created and sold to others, allowing those out of work to earn a little money. The popularity of the textiles caught on and the Colorado Supply Company Store distributed the rugs at both their Denver and Pueblo outlets. At the Sunrise, Wyoming store, the Colorado Supply Company allowed unemployed workers to buy merchandise on credit with the understanding that they pay back the amount due at their convenience. In some cases, three to five years after the purchases were made. Unable to escape the effects of the Depression, the Colorado Fuel and Iron Company went into receivership between 1933 and 1936 under federal bankruptcy laws. Reorganizing in 1937, the company experienced a rebirth as the Colorado Fuel and Iron Corporation. Following World War II, the company experienced a period of dramatic growth, becoming one of the largest and most financially successful steel manufacturers in the country by the early 1950s. American women played important roles during World War II, both at home and in uniform. 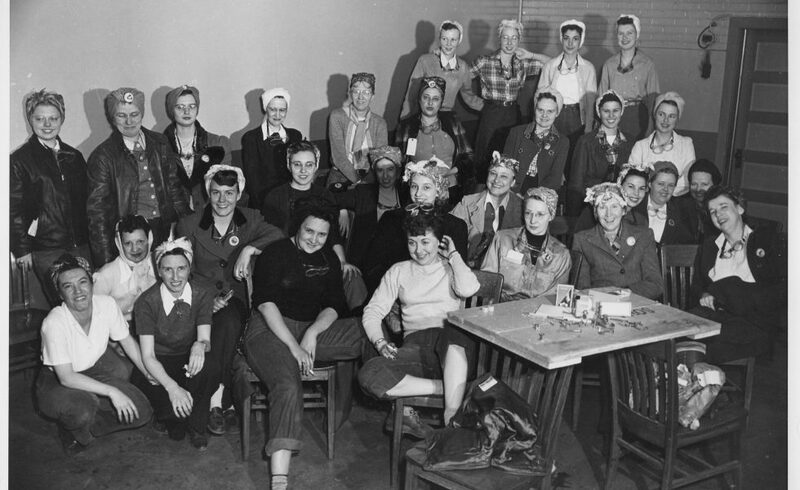 In honor of their dedication, our staff has put together a virtual exhibit interpreting women’s roles at CF&I during these crucial years of 1942-1945. Click here to check it out!